Serious gamers have long preferred desktop gaming PCs over laptops because they were more powerful and more easily upgradeable. But now that preference is beginning to change. The latest gaming laptops to arrive on the market pack plenty of power for running even the most demanding games, making them a great choice for gamers who like to take their rigs with them when they travel. 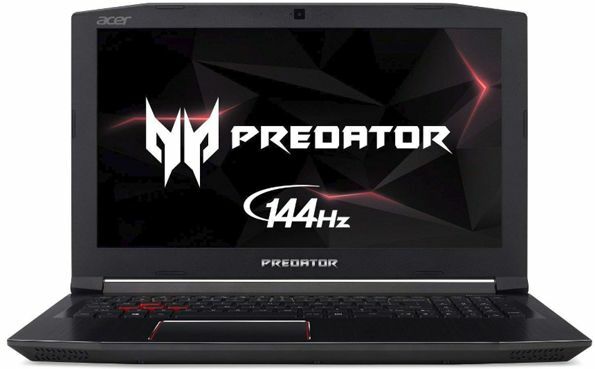 A perfect case in point is the Predator Helios 300 Gaming Laptop from Acer. As you can see, there’s plenty to love in this machine. The first thing I noticed about this beast of a laptop was how quickly it boots up. I’ve tested and used a lot of laptops in my day, and this one has the fastest boot time I’ve ever witnessed. And once it’s up and running it keeps going at a break-neck pace. This thing was tested with four of the most demanding games on the market and it ran them all without even the slightest hesitation or hiccup. In my opinion, the 16GB of RAM is adequate for most any gaming session, but for those wanting to max it out you can double the RAM to 32 Gigs. 1 – While the 256GB SSD makes this machine super-fast, it’s a bit cramped compared to the many gaming laptops that come with both an SSD boot drive and a large internal hard drive for storing programs and tons of user-created files. You can always add either an external USB hard drive or an external USB SSD to beef up the storage storage space, but it would have been nice to have all the mass storage contained within the laptop’s case. 2 – It also doesn’t have an internal optical drive, but that won’t be an issue for most people in this day and age. Again, you can always attach an external USB optical drive if you really need one. 3 – Most laptops today are a lot lighter than this one, but at slightly less than 6 pounds it’s weight is actually pretty decent for a gaming laptop with these specs. Again, none of these issues should be a deal breaker in my opinion, but I did feel the need to point them out. Bottom line: This is a super-fast machine that should serve most any serious gamer well, but to make full use of all that power you’ll definitely want to augment the internal storage with a spacious external USB hard drive. Click here to read more about the Acer Predator Helios 300 Gaming Laptop at Amazon, including over 460 independent user reviews.